This line from Puzo’s pop-culture masterpiece is really the immigrant’s anthem – to sacrifice so that your children (and generations afterward) do not have to struggle as you did. Even the Don himself wanted more for his children; his great vision was that they, and the family by extension, be more honest, more civilized, less criminal than he had been. He wanted they be pillars of American society. Of course, when Vito Corleone mentions work, he is referring to a criminal enterprise, but the parallels to the vast majority of Italian Americans – the overwhelming majority of who were not raised by gangsters, but by hardworking factory laborers, barbers, masons, landscapers, butchers, seamstresses and the like – are there. And the parallels are not there by accident. 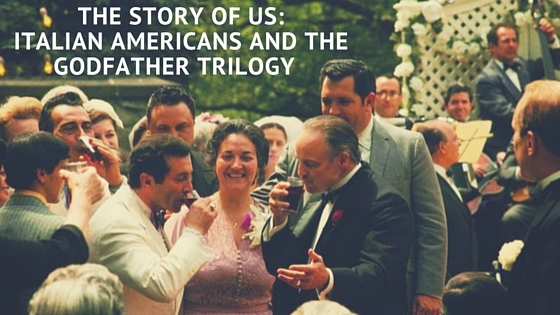 The creators of “The Godfather” trilogy consciously embedded these similarities into the films, and it is largely why the movies are so beloved; in them we see our own families, our own stories, and we find the connection we so long for through what we see. My father worked with his hands beginning at the age of 10, and he never stopped, literally right up to the very day he went to the hospital, where he swiftly passed away. He never wanted my brothers to take over the landscaping business he had built. He wanted them to wear suits and ties and sit behind desks. He was not Mafioso, of course, but his story is the same as Vito Corleone’s – he wanted his sons to be polished, accepted, successful members of American society. You can love “The Godfather” films or you can hate them, but you cannot deny their resonate power with audiences, and our next podcast guest, author and speaker Tom Santopietro, can testify to the real, life-altering influence these films actually possess. Raised in a waspy neighborhood and sent to private school, Santopietro did not identify with his Italian-American heritage at all….until he saw, on a movie screen, young Vito Corleone sitting in quarantine at Ellis Island, and he realized: That is my grandfather. That is what he went through, and he went through it for me. In his book, “The Godfather Effect: Changing Hollywood, America, and Me,” Santopietro explores how the films depict changing family dynamics and shifting traditions in parallel to the way generations of Italians, as they assimilated into American life, underwent the same. In our episode with Santopietro, we discuss, among many other compelling aspects of the Italian American Experience, how absorption into and success within American culture draws us further away from our roots and traditions. We come to not follow in our parents’ or great-grandparents’ footsteps, yes, just as they wanted for us, and in so doing, we shed the ugliness of their hard lives. And we shed, as well, much of the raw, authentic beauty that was also inherent in those lives. In our upcoming episode, we talk about how the celebrations that open the first two “Godfather” films represent this very shift and change: Connie’s boisterous, family-and-tradition-heavy wedding in the first film falls away to the cold, heartless Nevada confirmation party in the second, where the lack of Italian tradition is so evident that poor Frank Pentangeli – so painfully “uncivilized” in contrast to the rest of the guests, so evidently out of place with his lively, loud (sound like any loved ones you remember?) celebratory personality – he can’t even get the band to play the Tarantella, because they don’t even know what it is. Santopietro writes, “[audiences] didn’t just like the film, they embraced it with a fervor that spoke of a desire to enter the very world of the Corleones – to become guests themselves at Connie Corleone’s wedding reception.” This warmth and celebration is the heart of what Italian Americans are so beloved and known for; to lose this by becoming as palatable, polished, and staid as the rest of American society is to lose what we are. I like to think the third and final party in the trilogy, where Michael, after being named a Commander of the Order of St. Sebastian by the Catholic Church, hosts a fancy event to celebrate, holds some glimmer of a lesson on how we might move forward. There’s Connie, obviously taking up the mantel of Mama Corleone – traditional, Italian, energetic – singing “Eh Cumpari” as the rest of the family and guests eat and dance and sing along. It is not the same as it was on her wedding day – not by a long shot. But it is something. It is a piece, a thread, of the beauty that was lost somewhere between there and here. 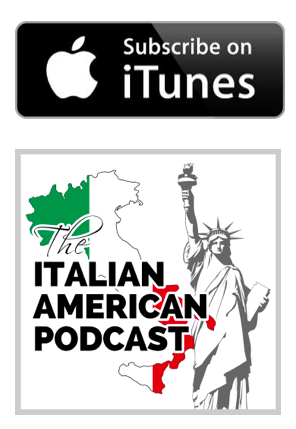 Please click below to receive an email when we publish our interview with Tom Santopietro, and all future episodes of The Italian American Podcast.